A few weeks ago, my book club met to discuss Alice Hoffman’s The Museum of Extraordinary Things. I wasn’t a big fan of the book and I dragged my feet to get through it. I find these usually make the best book club discussions and I did feel we had a good one that night. It was a mixed bag of feelings. A quick straw poll gave us six out of fourteen that enjoyed the book. The setting was really vivid in the book. Hoffman is from New York and that helps explain her ideas to set a book in such a volatile year, one that many of us had never heard of in American history. Our facilitator looked up a lot of history on the Triangle Shirtwaist Factory Fire. The owners of the factory were acquitted of manslaughter in the criminal case. A civil case was filed and the men were fined about $75 per casualty. The insurance payout they got was more than the cost of damages by about $400 per casualty. One of the owners was caught locking doors at a factory again and was fined $20 (source). This meeting was in mid-September and many people had finished the book around 9/11 so the images of people jumping out of a building to their deaths were horrific, especially close to such a date. Many were also reminded of the Dhaka Fire, a garment factory that caught fire in Bangladesh in 2012 though casualties, in this case, were caused more by improper exits than any locked doors (source). One of the things I said bothered me was that the Triangle Shirtwaist fire seemed really removed. It was pointed out to me that Eddie was a photojournalist, someone who sees things through a lens and has to have some level of removal to photograph the things he saw. Eddie was a character with a lot of distance around him as evidenced in his distance from his father. Some felt that the fire was the impotence for Eddie trying to reconnect with other things in his life and was the beginning of his character development. He had been disconnected and desensitized by what he saw growing up in the Ukraine and he had let it affect him for a long time. Seeing such a tragedy spurred him to change. There’s not much to say about our other main character, Cora. She always thought of herself as a monster yet the characterization of the human oddities made them seem less monsterish than the humans around them. The biggest mystery surrounding Cora was her mother. I thought Maureen was her biological mother and that it wasn’t just an emotional parentage, but some disagreed. The coloring between the two girls didn’t match though that could be explained by a father. We all felt it was rather reminiscent of Moses. I was not the only one who thought the romance was incredibly cliché and that taking it out would have made the book better. It made some people think of Romeo and Juliet or a Lifetime Movie. This almost made sense because with Coralie’s innocence, all she knew of romance was from fairy tales and books, but Eddy would have known better. It was too juvenile for someone of his background. Coralie’s father is one of the other major characters in the story though we thought he faded a lot in importance as the story went on. One member was expecting something dark from their relationship but in the end, it wasn’t as terrible as we expected. She was reminded of the story Rappaccini’s Daughter by Nathaniel Hawthorne. I think that would have made a better ending. The side characters were more interesting than many of the main characters. Some favorites were Beck, Hochman, Mr. Weiss, and Levy. These four men made up the father Eddie was missing in his life. I think Levy is the best example of all of them, but Hochman did good things for Eddie growing up. Interestingly enough, Hochman is a real historical figure. It was pointed out how many animals were in the story. The trout in the pail repeated a lot, representing Eddie being unable to let go of Coralie. There was also Mitts, North, the tortoise, the elephant, and the black lion. Many of the characters were kinder to animals than they were to other humans throughout the book. The factory owners had dogs that they treated like kings but didn’t care about the lives of those around them. Beck would shoot a man as soon as talk to him, but he loved his wolf. We trust animals more than men. One thing that bothered a lot of us was the hitman sewing his victim’s mouths shut. We got that it was supposed to send a signal to those that were fighting for a union, but it was more like a serial killer than a hired hand. It was a bit too far. There was a big fire and water motif in the book. Eddie’s story starts with running away from a fire in the Ukraine. The fire at the Triangle Shirtwaist Factory was the beginning of the story and Eddie’s character development and it all culminated in the Dreamland Fire. Coralie’s story was all in the water. She grew up on the water, found the girl in the water, and was saved by water from the fire. Maureen also had been burned, though with acid. Eddie’s father jumped into the river which was when Eddie mentally gave up on his father. Many of the major changes in the book took place in one or the other. One theme very few of us picked up on was the contrast between those women fighting for rights such as the factory owners’ daughter and the missing girl and woman who are helpless or abused like Cora and Maureen. The abused women are scared to speak up while the others are screaming to be heard. It’s those screaming who end up in more trouble, but those hiding had to fight for their rights as well. Thanks for reading about our discussion. We’ll meet again in October with a creepy read for fall. Until next time, write on. My eAudio came in the same week I saw a movie advert for this on Goodreads. It was like fate. And then my friend Nicole texted me and wanted to see it. Double fate. So I rushed through the audio (with thanks to Bout of Books) and saw the movie a few days later. Win. Sticking to the Book. I think the screenwriters did a really good job of sticking to the book. As I listened to it on audio, I had odd deja vu of having heard the lines already. There were parts taken out, yes, but for the most part, I felt like I was watching the book play out on screen. Ben as an adult. In the book, he seemed to ‘soft’ to have been in jail almost 25 years. He seemed young and naive still, which is the opposite of how I would imagine someone in jail for that long. In the movie, his anger came across really well and he looked rough and like someone I believed had been in jail for a long time. The cross. This made the connection between Diondra and the Day’s a lot more visual. It wasn’t a big thing that was over-shown at the beginning but I remembered it when it came up again at the end. It was better for the movie. Taking out Michelle’s diaries. This ties into the point above here. Michelle’s diaries were very ingrained in her personality and there’s not enough time in a movie to engrain that in the plot. It was set up well, slowly and fundamentally, and it couldn’t be done in the movie. I’m glad the screenwriters didn’t try. No ‘Free Day’ organization. If there’s a scene that was going to be taken out, I’m glad it was this one. I don’t think it did much for the plot. It cast more doubt on Runner, but in the end, that wasn’t needed. It did give Libby the motivation to track him down, but I think he was next on her list anyway. And it made me really dislike most of the women in the story, something Flynn has a habit of doing. No gross images. There were references in the book to pictures of Libby’s sisters from the crime scene and talk about mangled corpses and brain matter. The movie didn’t show these and I’m really glad it was taken out. That wasn’t something I needed to see. Having someone read me passages about it was bad enough. A lot of Runner’s backstory. In the book, he was a likely suspect and a lot of people in the Kill Club thought he was guilty. We didn’t get a lot of that with the movie. Runner was a shady guy to be sure, but a lot of the foreshadowing before Libby met him was toned down. I understand that the movie needed to be compressed, but I thought this lost a viable scapegoat for the Free Day Society’s anger. Krissy Kates. It wasn’t enough. Lyle thought Lou Kates did it and in the book, that seemed like a logical choice because of how big the Krissy Kates thing was the day of the murders. The scenes of Ben going to clean the school in the morning were cut. So he wasn’t acting suspiciously around the locker room and no teacher saw him sneaking around and being aroused near Krissy’s classroom. Those things would be very damning and would point to Krissy being molested like she claimed and would fuel Lou’s anger. But it was all gone and I felt that Krissy’s plot was a weak point of the movie. Reader, I’m dying to know what you think. What did you think of the Dark Places movie? Do you think Sharp Objects will be made into a film? Was there anything else you would add to my lists? I don’t remember why I wanted to read this one. It’s been on my list for a long time and it seemed about time to grab the audiobook and get on with it. At 22 disks, it was a big undertaking. I had to stop for a while to get through Dark Places, but I came back to it and pushed on. Was it worth it? Maybe, maybe not. Some points were beautiful. Others stretched on too long. In the end, I don’t think I’d recommend it, but it feels like an accomplishment to say I’m done. Whatever else I say of this book, it was beautiful at times. The language was great and the characters stepped off the page (out of the speakers?). But it was long. Really, really long. I get that the point was for me to understand how extreme the changes were to Andras’s life. The Andras at the beginning is a naive student leaving his home for the first time. By the end, he’s a hardened man fleeing his home. I don’t think so many pages were needed to make that comparison as stark as it was. I didn’t need details of how to live in Paris on a budget and what kind of house he wanted to build on the coast for Klara to understand that concentration camps are a far cry from it. The beginning was a love story, the end was a survival story. I thought it would have been better as two books because they were so different. I was also a little put off by the street names. It reminded me of Steig Larsson and in the audiobook, this stuck out a lot. The characters were amazing. They made the book worth reading. Andras was a little dry, as are many narrators in a long book, but the characters around him like Zoltan, Polaner, Matyas, and Jozsef were great. It was easy to see them walking through Andras’s life and the effect each had on him. Matyas was my favorite character. I loved his spirit and the distance from him was the hardest to bear. He had a love of life and a self-starting attitude that I identified with. I wanted him to be in the story more than he had been because I felt he lightened the darker moods and always seemed to have something fun to say. I could identify with Klara and the concern she had for her husband. Granted, my husband isn’t going to labor camps, but I think it’s natural for a woman to worry about her husband when he’s gone, no matter where it is. I’m always fretting over my husband when he’s on trips or running late when he should be home from work. I think we’re pre-programmed to worry when someone’s away from home. I enjoyed the end of Andras’s time in Paris most. I thought the plot was best paced in this part. The political situation was changing by the minute and people were scared. Elisabet was growing up and moving and Andras was having trouble as a foreigner in Paris and I felt their anxiety, their fear. I disliked the beginning of the book and that’s probably why I was so put off by it. I wasn’t interested in Andras’s love story. I went into this looking for a WWII story and I didn’t care so much about how their relationship started. A lot of Klara’s backstory was interesting and did play into the plot later, but ultimately I thought it was a bit much. The ending got to me a bit as well. I can’t go back and review the audiobook, but I’m pretty sure we never got the end of Jozsef’s story. Was he in the epilog and I missed it? The audiobook was narrated by Arthur Morey. I thought he did well especially considering all the French and Hungarian names and places he had to read about. I wouldn’t say his narration enhanced the story, but it was not distracting at all and I was able to enjoy the book without thinking about the reading. It’s a miracle that so much of the Levy family survived. What they went through was terrible and a dark spot in the world’s history. When they lost everything else, family was the one thing that stayed constant. Family grew to be more than Andras and Klara. It involved siblings, in-laws, cousins, and friends. Family was everyone who you loved and wanted to protect. When money and career are gone, family is the only thing we can count on. Writer’s Takeaway: The epilog of this book makes me wonder if it’s a true story of Orringer’s relatives. I wonder if all the detail and length is to tell the whole story the way it happened and keep all of her family’s memories together in one book. Even if that’s true, I think it’s too long and too wondering for one book. Maybe Orringer could have done two books of Andras and Klara, but having it all in this one was too much. As writers, we’re always told to ‘kill our darlings’ and I don’t think Orringer did that. There were parts that could have been cut or shortened. They were beautiful, but didn’t advance the plot or characters and added length. It’s the hardest part of writing, but sometimes it needs to be done. Good book, but too much! Three out of Five Stars. Currently reading: I honestly am embarrassed at how slowly I’m getting through Cloud Atlas by David Mitchell. I checked it out again, but I’m not sure I got through anything new with it. I haven’t had a lot of chance for an eBook lately. Maybe soon? No progress with Everything I Never Told You by Celeste Ng. I hope to finish it up soon, though! Making great progress on The Silkworm by Robert Galbraith! This one is really great and has grabbed my attention. 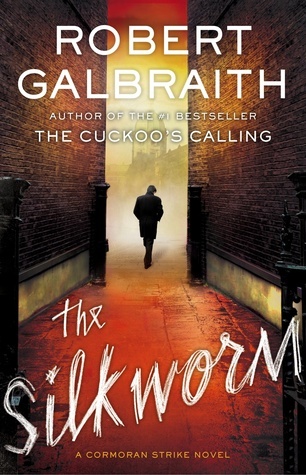 I read on Galbraith/Rowling’s Twitter feed that the third in the series will be coming out soon so I’m excited to get my hands on it quickly. I started copy of Bird Box by Josh Malerman Sunday night. Not too far into it yet, but I’ve heard it’s a hit-or-miss book. I’m inclined to like it because it’s the perfect time of year for a creepy book and the author’s hometown is 20 minutes from me! 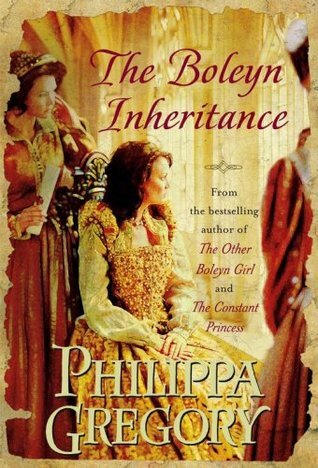 Recently finished: I finished The Boleyn Inheritance by Philippa Gregory on Sunday. It was a solid read, what I’ve come to expect from Gregory’s Tudor series. I think I’m close to reading them all now, but new ones keep coming out! 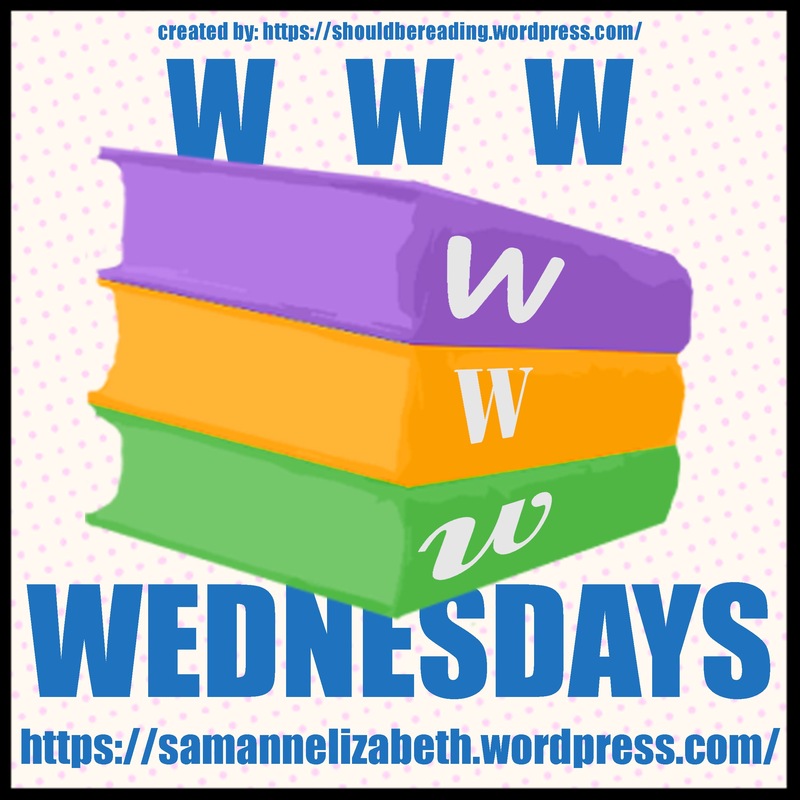 Another week of two book reviews. This time around it was Close Your Eyes, Hold Hands by Chris Bohjalian (3/5) and The Scorch Trials by James Dashner (3/5). Let me know your thoughts on these titles as well. Reading Next: I’m missing my next book club meeting because of a test, but I’m picking back up again soon after. 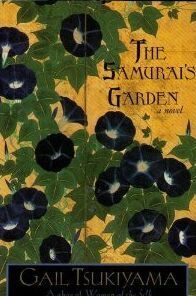 We’ll be reading The Samurai’s Garden by Gail Tsukiyama. I’m looking forward to it as one woman read it before and really liked it! The phrase morbid curiosity comes to mind. I was so upset at the ending of The Maze Runner that I told myself I wasn’t going to read the rest of the series. But my husband liked the second one best. And I always find the second book in a series is my favorite. And the movie’s coming out. And we owned it already. So I read The Scorch Trials and was happy to find it was better than I expected. As far as getting answers, we have a major improvement to this book: the phrase “Shut up, Greenie!” was never used. I was glad that Thomas was no longer being kept in the dark about everything. It made this book easier to read. I will say that there were a few things that were too strange to be unexplained, killer liquid metal being chief among these. I felt Dashner was taking too many liberties with his post-apocalyptic world. I felt the characters were better developed and more distinct in this installment. Minho and Newt stuck out well from the rest. I had a lot of mixed feelings which is what resulted in the 3 Star rating. It was much improved from the first book though I was upset with the ending again. Honestly, I’ll probably read the last book right before the movie comes out again. Theresa was the only character that really bothered me. She flip-flopped between helping Thomas, telling him things we later find out she shouldn’t be telling him, and doing what she’s told to do by hurting him. I couldn’t understand it and I shared Thomas’s distrust of her at the end of the book. I couldn’t understand where her loyalties lay and what she was trying to accomplish. It really bothered me. I liked Minho even more in this book. I liked how he was the leader against his wishes and to his credit, he was a good leader, but Thomas would have been better. He did a lot for the boys in their group and was able to keep leading them despite staggering losses in the end. Brenda’s struggles were the most relatable to me. She was stuck in a bad situation and had made the best of it. She had a group of people to watch over her and a pseudo-family unit where she worked hard to stand out and be helpful. It worked well for her because she was chosen to help the Gladers and even though she wasn’t sure she would benefit in the end, she took a chance and tried anyway. I think there are a lot of things in life where we’re not sure of the ending but have to take a chance that things will turn out well in the end. We just have to take a risk. I liked the travels through the underground passages. It was exciting to follow Thomas and Brenda when they had no idea what was going to be in front of them. To me, it was the most unpredictable part and one of the most high-intensity. I was not a fan of the ending at all. I felt it was too similar to the end of the first book and I hated that. I have some guesses at what the third book will bring and if I’m right, it will be very similar to this book and I’ll be upset at a repetitive plot. Oh boy. The Gladers have no trust in WICKED. This overseeing body has put them through hell and won’t tell them why. This might be telling of Dashner’s feelings on our government. It’s not as powerful as WICKED (or at least I don’t think so) but can put citizens into situations where they find themselves in danger without permission (military drafts) and doesn’t have to provide answers to why it’s doing something (Patriot Act). This is a common theme in dystopians, especially The Hunger Games and Divergent. To be frank, I think this theme has run its course and we won’t see as much of it in the future. Writer’s Takeaway: Dashner gets points for creativity if nothing else. One of my favorite obstacles in the book was the killer lightening and rain storm. I thought it was smart of Dashner to think that major changes in climate would mean major changes in the weather. His big ideas like this make the book exciting. It’s an element more common in thrillers, but I thought it worked well to give this book more depth. 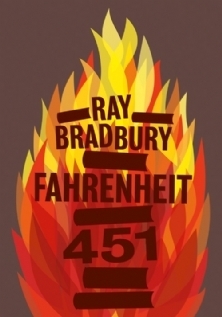 A big improvement on the first book, but still not a favorite of mine. Three out of Five stars. A lot of you commented on my book review of Jeannette Wall’s memoir, The Glass Castle and had wonderful things to say about it. I loved it, too! What a great book. My book club agreed and we had a wonderful discussion about the memoir. The woman who volunteered to lead our discussion made up some of her own questions. She has a psychology background so some of this discussion might bet a bit technical, be warned! The first thing we talked about was if Jeannette should have written the book. Her husband encouraged her to write it and a part of me wonders if he thought she needed to deal with her past. A lot of us thought she needed to get this off her chest. Walls talks about hiding how she grew up while in school and maybe she wanted to finally put it out there so everyone would know where she came from. The story seems too crazy to be true, but we doubt she embellished any of it. The psychologist among us told us that our memory is heightened by trauma. It’s why we remember being scared of the circus as six-year-olds but not what we had for dinner last week. Some of the back material said that Walls’ siblings remembered most of her stories the exact same way, but from their eyes. Walls has a lot of traumatic memories and she’s ashamed of them. But the book opens with her being ashamed of being ashamed of her mother. She wants to confront what’s bothering her. This book helped her do that. The style of this book was amazing. Walls is not asking for our sympathy. She doesn’t need it, she’s doing fine. She’s telling us the love story of her family. They didn’t have much, but they had love. She writes from an unbiased mind, the mind of a child, at the beginning. She’s telling us the facts. As she grew up, she was able to analyze things and knew what was wrong and right. We asked ourselves if the Walls children should have been taken away from their parents. There is a lot of debate around if child protective services are really doing something for the good of the child by doing that. Our group has a lot of teachers and many of them felt strongly that the teachers failed to do their duty and tell someone about neglect at home. But in the end, was it better for them to have stayed together? The children might have been split up and they might not all have had a good foster care experience. Not everyone does. We did agree that Rex crossed the line twice; taking Ben to a whore house (which is implied but never explicitly stated) and when he took Jeannette to the bar and let the older man talk to her. Those were the only things we thought were explicit abuse. Everything else could be counted as neglect. The kids are lucky they survived the conditions of the house. The older three raised each other for the most part. Maureen was babied her whole life and never had to fight for herself. Their father ignored her for the most part as well. Maybe that was the love she would have needed. The kids appreciated what they had later in life so much more because of their background. Growing up poor and being neglected are different things. A poor family can be doing everything possible to put food on the table and fail to do so. A neglectful family, like the Walls, isn’t exhausting all its resources. We said that this was different from poverty during the depression because there were other options ($1,000,000 property, house in Phoenix) that the parents didn’t resort to. Rex is a character and a half. We genuinely think he was incredibly smart, so much so that he didn’t fit in. ‘Severely gifted’ was a phrase we tossed around. He seemed to give up on a lot of things when he felt everyone around him couldn’t keep up with him. The alcohol and confrontational manner didn’t help, but feeling like he was smart but couldn’t get ahead would have been defeating. Jeannette was disillusioned with her father in her childhood and got mad in her adolescence when she saw that he wasn’t everything he pretended to be. He was killing cats, pimping her out, and stealing money. Toward the end of his life, he seemed to feel some regret about the way he brought the children up. He realized the Glass Castle was never going to happen and when he asked if she’d been let down, their old back-and-forth banter, he knew he had. In the end, it seems Walls had a good amount of respect for her father and what he endured. There’s no doubt he loved his kids, but he didn’t have a good model of how to show it. We see that Rex’s parents were not ideal, either. They ignored him and dealt with their own issues before looking to their child. We think he loved them more than Rose Mary. In the end, he was the better parent. On page 155 in my copy, it’s implied that Rex was sexually abused by his mother. A lot of us think that’s likely. We don’t think it excuses what he did and his alcoholism, but it gives us a reason why things might have started off badly for him and why he was reluctant to return home. I’m glad that it seems that cycle of abuse ended with Rex. As I said, the kids might have been neglected, but they didn’t seem abused. Rose Mary and Rex were toxic together. She enabled him and it’s possible he drank more because she was around. She didn’t hold him accountable for anything and he had no reason to stop drinking. We suspected that Rose Mary was bipolar. Our psychologist told us that many people with bipolar disorder will avoid commitment because they can’t maintain it between their highs and lows. We think part of the hatred toward Rose Mary’s mother was because she tried to put her daughter in a box, a nice safe teaching box. Rose Mary didn’t want this because when she went through her lows, she couldn’t be a teacher. We further suspect that Maureen might have inherited her mother’s bipolarity. She struggled so much toward the end with mood swings that it seems likely. Our psychologist said that the Walls were the most dysfunctional family she’d ever encountered. The kids thought they were special because their father had always told them they were and that might have been their only saving grace. Jeannette never felt like a victim of her circumstances. She never gave up and always kept trying. We did find it interesting that she has no children of her own. It might be out of fear of repeating her own childhood or another reason, but it does seem like a deliberate choice. I’ll be missing the next meeting of this book club, but we’ll return in late October. If you haven’t read one of my Chris Bohjalian book reviews before, get ready. I’m a big fan of his. He pulls on my heartstrings in ways I didn’t think were possible and I like to tweet him. So when I heard he was coming out with a YA book, I was intrigued. Unfortunately, I think I’ll stick to his adult fiction from now on. Close Your Eyes, Hold Hands is the story of Emily Shepard, a homeless teen living in an igloo made of ice and trash bags filled with frozen leaves. Half a year earlier, a nuclear plant in Vermont’s Northeast Kingdom had experienced a cataclysmic meltdown, and both of Emily’s parents were killed. Devastatingly, her father was in charge of the plant, and the meltdown may have been his fault. Was he drunk when it happened? Thousands of people are forced to flee their homes in the Kingdom; rivers and forests are destroyed; and Emily feels certain that, as the daughter of the most hated man in America, she is in danger. So instead of following the social workers and her classmates after the meltdown, Emily takes off on her own for Burlington, where she survives by stealing, sleeping on the floor of a drug dealer’s apartment, and inventing a new identity for herself – an identity inspired by her favorite poet, Emily Dickinson. When Emily befriends a young homeless boy named Cameron, she protects him with a ferocity she didn’t know she had. But she still can’t outrun her past, can’t escape her grief, can’t hide forever – and so she comes up with the only plan that she can. 1,000,000 points for originality. 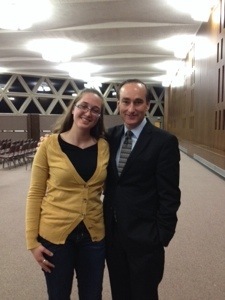 It was interesting to hear Bohjalian’s take on what would happen with a complete nuclear meltdown in the modern US. It’s something I’d never considered before. I liked that he used someone who was affected by the disaster in an unusual way. Most people lost their houses while Emily lost her entire family. What bothered me was that Emily’s story was very mature. She went through a lot of things a 16-year-old shouldn’t have to think about. And she justified a lot of things no human should ever undergo or see. I felt a lot of this was left open to the reader to interpret and I didn’t feel this was 100% appropriate for a YA book. At the end of the book, you see Emily keeping her razor close by for comfort, implying that cutting is comforting and not something a strong character could overcome. After seeing her come through so much, I would have liked to see her defeat her vices. Growing up, I knew people who had some of Emily’s issues, but never all of them at once. I knew people who cut, people who took prescription drugs, people who slept around, and people who ran away from home. But wrapping them up into one person was intense. I’m not sure she would have survived it all. I was confused by her protective nature with Cameron. She obviously had a motherly instinct to help him, but it hadn’t kicked in before and she wasn’t taking good care of herself at the same time. Granted, it was better, but she still had her razor and given the chance, might have used. Maybe not, I could be wrong. Anyway, I usually associate an urge like that with a woman who’s lost a child, not a sixteen-year-old. That confused me a bit. Truthfully, I didn’t ‘like’ any of the characters. None of them was someone I’d want to be friends with or would acknowledge on the street. Maybe Cameron because I felt bad for him, but he was a bit flat as a character to me. We didn’t get too much of his personality in the book. There were a lot of small side characters that showed up for a page or two that ended up disappearing that I liked, but no one who stuck around. When I studied abroad, there were things about home that I missed. Small things, like my pillow and food from certain restaurants, but big things, too, like my parents and friends. Emily misses these things, too, but she can never go back to them. And when she finally tries to, nothing is the same. The people are gone, the buildings are empty. I would have momentary fears while I was in the UK that everything would be gone when I got back, but Emily lived that nightmare. I was relieved when Emily started getting her act together at the end. Seeing her try to hold a job and buying groceries was reassuring that everything was going to be okay. I was so hopefully when she started asking other people for help. I guess if things hadn’t gone south, she might have made it. I like to think so, anyway. The non-linear plotline bothered me the most. I was confused as to the order of things and when Emily was with certain people and if X had happened already or if that was after the part I was listening to and where Y fit into this line. Emily kept it somewhat straight by dividing time into BC (Before Cameron) and AC (After Cameron) but I still found things confusing within these parts. The audiobook I listened to was narrated by Grace Blewer, Bohjalian’s daughter. I liked this a lot because I think Bohjalian was thinking of Grace a lot while he was writing. She’s the 16-year-old he’s known most intimately and during the interview at the end of the recording, he admits he asked Grace for help with vocabulary from time to time, so it was literally her words she was reading. Blewer is a trained actress and did a good job narrating Emily. I thought the message in this book was a little too obscure. I think Emily was so far gone that she thought there was no forgiveness yet found out she was wrong. That was the one message I got that I liked; we can have a second chance if we ask for it. She gave up on herself too quickly and gave up again when Cameron got sick. Writer’s Takeaway: My biggest issue with this book was the maturity of the content and the age of the protagonist. It felt weird to be reading about what Emily went through and know it was a 16-year-old and not someone in their mid-twenties. Not that being in your mid-twenties makes any of that more acceptable, but it would make it feel a little less ‘weird’ to read. I think it’s a matter of matching the book with the right audience. It didn’t feel like a YA book to me, but it was directed to a YA audience. A great concept that didn’t work for me for some unknown reason. Three out of Five stars. I haven’t look at I Am Malala by Malala Yousafzai yet because I’ve had Cloud Atlas. If the hold expires, I’ll get back to this one soon, but I’m almost hoping I can power through Cloud Atlas first. Getting really close to the end of The Boleyn Inheritance by Philippa Gregory. I’m enjoying it a lot. Katherine Howard’s character is really fun to read. I hope to finish it up really soon! I got The Silkworm by Robert Galbraith! I’m really excited about this one. It’s the same narrator as The Cuckoo’s Calling which is really nice. I’m enjoying the focus on publishing in this one. I bet it’s something Rowling/Galbraith knows a lot about! Recently finished: Nothing finished this week. I know, I know, it’s my own fault because I keep putting books on hold. This is true, I can’t fight it. Though I put out two book reviews since last week! Please check out my reviews of The Miniaturist by Jessie Burton (3 Stars) and Dark Places by Gillian Flynn (5 Stars). 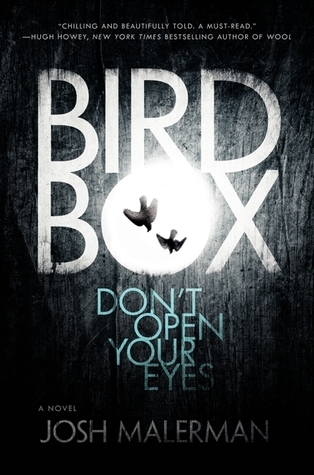 Reading Next: My book club met on Monday and I got my copy of Bird Box by Josh Malerman. I’m going to pick it up as soon as I finish The Boleyn Inherritance. I’m not putting another book on hold! 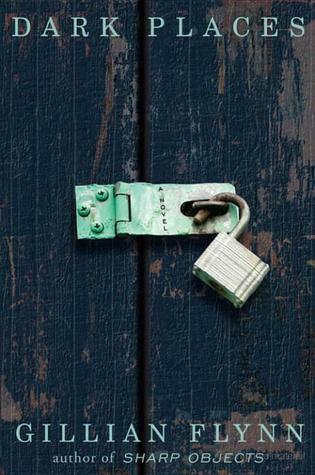 I’m not normally a thriller reader, but I liked Gone Girl. I wasn’t rushing to read everything Flynn has ever written but when I found out that Dark Places was being turned into a movie and it was timing up with my audiobook hold coming in, I knew God was smiling on me to have everything fall into place. So perfectly. I was prepared to have every character like I did in Gone Girl. I thought none of them would be redeemable and they would all end up being terrible people and I’m so happy that I was wrong! Libby is hard to like at first, but she grows on you. Lyle is likable all the way through which was refreshing. I loved the alternating points of view and the time jumps, which helped reveal just enough to keep me up late finding out what happened next. And like in Gone Girl, there are twists all the way through and they’re wonderful. I’m going to try to keep this as spoiler free as possible, and I’ll warn you when I’m going to spill some major plot points! I can’t imagine growing up in Libby’s shoes, but I don’t think it would be a walk in the park, a ‘brand new Day’ for me. It would be hard and I think it would give me some of the quirks that Libby had. She seemed very real to me. She had been under an illusion she was coaxed into for so long that she believed it and had trouble finding a new truth. I bought it. I loved figuring out the clues with her. I loved being as shocked as she was. The character I identified with the least was Patty, but I think that’s only because I’m not a mother. I couldn’t understand why she did what she did after Ben was accused. Runner entertained me the most. I won’t say he was my favorite but by far the most interesting. He’s so manipulative and cunning that no one knew what to think of him. He was talked about the whole book but only showed up in the plot once or twice. I liked that he was the person everyone wanted to blame but in the end, he was blameless (is that a spoiler? I don’t think so, I never thought he was guilty). The characters were hard to relate to because of their unique story. I most related to Lyle because of his strong passion for something taboo. Maybe my strong love for books, Titanic history, and turtles isn’t taboo like murder investigation, but it’s still uncommon. I respected his passion and how far he was willing to go to do something he believed in. Some people said I was crazy to stand outside for 4 hours in the rain to meet David Sedaris, but that’s what I’m passionate about. Okay, here’s the part where I’m going to talk about the ending, so skip this paragraph if you don’t want to know. Is everyone gone now? Good. I TOTALLY called half of the ending and it made me love the book. When Lyle mentioned the group of people in the Kill Club who were ‘inventing their own serial killer,’ I was immediately suspicious. It’s the old trick, “If you mention a gun in Act one, it better go off in Act three.” I knew there was a reason Flynn put that kind of detail into the book and finding it made me so gosh darn happy! Reading about Patty going through Ben’s accusation (the one floating around the day of the murders) was hard. It was a good twist to the book, but it also was hard to hear about her suffering through that knowing what was coming up a short while later. I don’t want to say too much so as not to spoil the book, but that was hard to read. The audiobook I listened to had three narrators for the three narrators in the book, Rebecca Lowman, Cassandra Campbell, and Mark Deakins. I liked that there was a narrator for each narrator in the book, especially because of the gender change. I felt Lowman and Campbell sounded a bit too similar, though, and it took me a while to realize they were different speakers. They all did well, but none sticks out more than the others. Libby learned two hard lessons. She had to learn to forgive both Ben and herself. It was easy to forgive Ben when she’d solved the crime and knew his only crime was… well, I won’t spoil it here but loving someone. Forgiving herself was harder. She’d made a mistake when she was young and impressionable and it was something she had to live with for a long time. She’d talked herself into believing the lie and coming to terms with it and the ramifications of it was her struggle. It was never too late for Libby to right her wrong though it became harder the longer she waited. Writer’s Takeaway: Using multiple points of view can be hard. There is such a thing as too many narrating characters and three can be pushing that limit. I think Flynn handled it well and I commend her for giving us three people whose lives and actions made the biggest impact on such a complicated story. I like that we switched between Libby figuring out the mystery and Patty and Ben living through it. Flashbacks can be hard, too, but these gave us forward progress with the modern plot line. Great characters and a great mystery. Five out of Five stars.